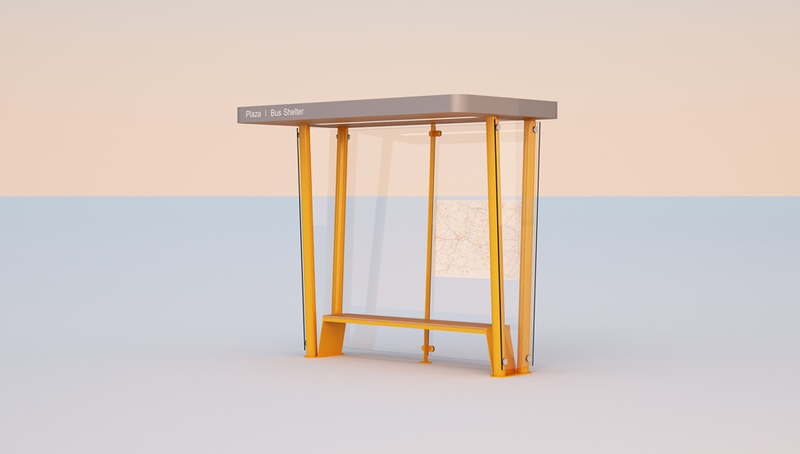 Basic shaped bus shelter. Upper cover (steel structure and timber staves) is hold by a thin tubular steel elements. Seat in steel and okumé wood, glass side covers.